In the right place. At the right time. With the right tool. The bigger the problem, the faster you need to solve it. 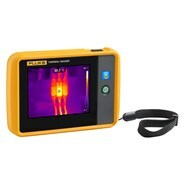 The Fluke Pocket Thermal Camera puts the power to minimize downtime in everyone’s hands. The first line of defense for easy troubleshooting. Stop fighting fires on the job, start preventing them. On the job, because it does the job. A camera small enough to carry every day without worry. Always at hand. Stands up to dirt and water. Can survive a 1-meter drop. Now enhanced infrared inspections are right in your pocket for quick temperature scans of electrical equipment, machinery and other assets. Automatically save your thermal images to the right folders. With Fluke Connect Asset Tagging you eliminate the tedium of sorting and organizing your infrared images. By simply scanning your asset’s QR code or barcode, your infrared image and all of your date and time stamped information will be stored to your predefined folders. Send via WiFi or automatically upload once you connect to the network or computer via USB. It's about time. Now you can more efficiently save, find and report on issues before they become problems. Get your preferred level of infrared every time. The 3.5” LCD touchscreen offers IR-Fusion™ to blend a visible light image with an infrared image to more easily locate problems. Simply slide your finger across the screen to adjust the setting. 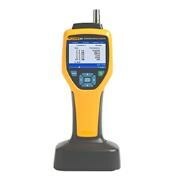 Why use the T6 Electrical Tester? Electricians often work in boxes jammed with wires, where finding a safe metallic contact point can be a challenge. With the T6-600 or T6-1000 you take measurements by sliding a single wire into the open fork. Measure voltage up to 1000 V ac through the open fork, without test lead contact to live voltage.+ Without opening covers or removing wire nuts. On wires up to AWG 4/0 (120 mm2), carrying as much as 200 A. It will change your job. Safer. Faster. Easier. 1 Requires capacitive path to ground, provided through user in most applications. Ground connection via test lead may be required in some situations. The Fluke 381 does everything you would expect from aclamp meter, and then lets you remove the display for even more flexibility. Now one technician can do jobs that used to require two people. Clamp the Fluke 381 around a conductor, remove the display and walk across the room to operate controls or remove protective equipment, all while watching real-time readings. E-DWT-H breaks new ground, improving the hydraulic pressure calibration process. E-DWT-H is an electronic calibrator designed to replace mechanical, piston-cylinder and weight based deadweight testers. It’s a lighter, easier-to-use deadweight tester alternative that is at home in the lab or instrument shop, as well as in the field performing in-situ calibrations and tests. This complete hydraulic pressure calibration system combines the convenience and precision of continuous, realtime electronic pressure measurement with the simple and direct operation of high quality operator controlled pressure generation hardware. E-DWT-H one year measurement uncertainty is ± 0.02 % of reading with ranges up to 30,000 psi. It can be configured to provide this uncertainty from its full scale down to 1 % of its range. Built-in pressure generation and control hardware allow the operator to fill and prime the system under test and generate and precisely adjust pressure throughout the range with ease. AutoTest™ lets E-DWT operators quickly define test points and adjust all of the range-dependent settings with a single function. The resolution and stability test used by the RPM4-E-DWT are set according to the range of the device under test. The upper limit setting is also set and provides range-based warnings and overpressure protection. While running AutoTests, the operator is prompted to set each sequential test point and test data is stored in the RPM4-E-DWT for recall or download. Typical test setup is quick and easy, but more complex tests can also be stored and reused. E-DWT-H offers precision, low measurement uncertainty and the stability over time of a conventional deadweight tester without the inconveniences associated with the piston-cylinders, weights, hand pumps, and interconnecting plumbing. Two year calibration interval supported at measurement uncertainty of ± 0.025% of reading. Easily recalibrated without crossfloating. Automated calibration of E-DWT-H is possible using COMPASS® for Pressure software. The E-DWT-H is at home in metrology and calibration labs, on the production floor or in the field. It operates with Sebacate calibration fluid, mineral oil, Skydrol® and other liquids. An optional battery/charger pack supports up to eight hours of operation away from line power. Proven rugged and weatherproof design with room for accessories. E-DWT can run stand-alone tests and collect test data. Test data can be downloaded over the RPM4-E-DWT’s RS232 interface. The RPM4-E-DWT’s RS232 interface can also be used to run the E-DWT with COMPASS® for Pressure software or user developed software. COMPASS® for Pressure software is universal pressure calibration software for the laboratory, which can be used to run simple or complex tests with multiple instruments. The user can create his/her own calibration report, and data can be exported to Fluke MET/CAL® Plus Calibration Management Software. DHI’s calibration, testing and repair services are dedicated to satisfying your needs quickly and at a fair cost while maintaining the unmatched level of quality that is our trademark. DHI’s calibration laboratories are accredited by the American Association for Laboratory Accreditation (A2LA) for conformance to ISO Guide 17025. As a Fluke company, DHI has access to global calibration and repair facilities to keep your hardware in top working order. If you need training for yourself or your staff, DHI offers a broad range of classes including: the principles and practices of pressure calibration, advanced pressure metrology, gas flow calibration using a DHI molbloc/molbox system, set up and operation of COMPASS® for Pressure calibration assistance software, and much more. 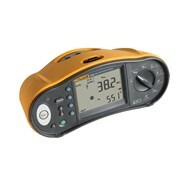 The Fluke 365 is a rugged meter perfect for jobs where access to wires is difficult. The 365’s thin, small jaw is detachable with a flexible lead, which makes gaining access to wires and viewing the display easier than ever. True-rms measurements and optimized ergonomics make the 320 Series Clamp Meters the best general troubleshooting tools for commercial and residential electricians. The 323, 324 and 325 are designed to verify the presence of load current, AC voltage and continuity of circuits, switches, fuses and contacts. These small and rugged clamp meters are ideally suited for current measurements up to 400 A in tight cable compartments. 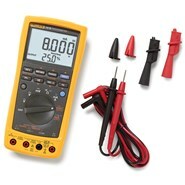 The Fluke 325 also offers DC current and frequency measurements. 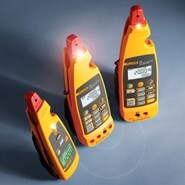 If you need more time in your busy day take a good look at the Fluke 771 mAClamp Meters. It’s designed to save you time, and money, by eliminating time wasting activities. Now you can troubleshoot and repair 4-20 mA loops without breaking the loop or bringing down the system. If you need more time in your busy day take a good look at the Fluke 772 mA Clamp Meters. It’s designed to save you time, and money, by eliminating time wasting activities. Now you can troubleshoot and repair 4-20 mA loops without breaking the loop or bringing down the system. luke 902 FC True-rms HVAC Clamp Meter enables HVAC technicians to create reports and collaborate with peers from the work site. 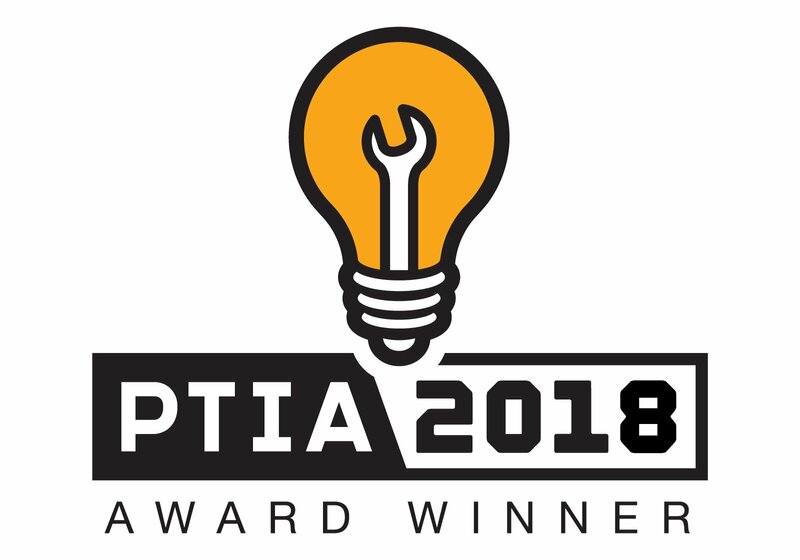 The Fluke 902 FC True-rms HVAC Clamp Meter, a wireless Fluke Connect®-enabled meter, improves the productivity of HVAC technicians in the field. The rugged dual rated - CAT III, 600 /CAT IV, 300 V - meter performs the essential measurements of HVAC systems — microamps for testing pilot light sensors, resistance up to 60 kilohms, AC current, AC/DC voltage, capacitance and contact temperature — eliminating the need to carry multiple tools. Its small body is easy to hold and the jaw fits perfectly in tight work spaces. As part of Fluke Connect — the industry’s largest system of software and more than 40 wireless test tools — the 902 FC can transmit measurements to a smartphone or tablet for later, detailed analysis. Those measurements can be uploaded to the cloud. Technicians can combine measurement data from multiple Fluke Connect test tools to create and share reports from the job site via email and collaborate in real time with other colleagues with ShareLive™ video calls or email, increasing productivity in the field. 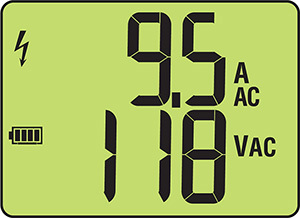 The clamp meter also decreases the frequency that technicians will need to wear personal protective equipment when working on high voltage/current panels. Simply turn off the panel, verify the panel is de-energized using standard safety procedures, place the clamp and sync it to a smartphone with the Fluke Connect app, close the panel, reenergize it, and take measurements from a safe distance. Fluke Connect is not available in all countries. Please check availability with your authorized Fluke distributor. All trademarks are the property of their respective owners. Smart phone, wireless service and data plan not included with purchase. First 5 GB of storage is free. Compatible with iPhone 4s and up running iOS 8 or higher, iPad (in an iPhone frame on iPad) and Galaxy S4, Nexus 5, HTC One running Android™ 4.4.x or higher. Apple and the Apple logo are trademarks of Apple Inc. registered in the U.S. and other countries. App Store is a service mark of Apple Inc. Google Play is a trademark of Google Inc. The 1664 FC puts a lot of testing power in your hands to quickly and efficiently test to all local regulations, protect appliances, and share test results in real time over your smartphone. 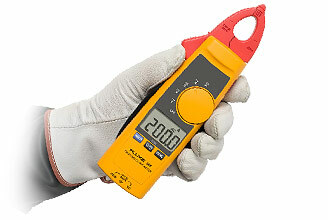 The Fluke 1664 FC is the only tester with "Insulation PreTest" that stops the insulation test and provides a visual warning if it detects that an appliance is connected to the system under test. This helps you avoid potentially serious and costly mistakes that can cause damage to your customers’ peripheral equipment. Because the 1664 FC is Fluke Connect®-enabled, you can send test results to your smartphone, save them to the cloud, and share measurements in real time with team members through a ShareLive video call. It's the fastest way to let your team see what you see, and to help you get approvals without leaving the field.